12" 13" 14" 15" 16" 17" 18" 19" 20" 21" 22" 23" 24" 25" 26" 27" 28" 29" 30" 31" 32" 33" 34" 35" 36" 37" 38" 39" 40" 41" 42" 43" 44" 45" 46" 47" 48" 49" 50" 51" 52" 53" 54" 55" 56" 57" 58" 59" 60" 61" 62" 63" 64" 65" 0/0"1/8"1/4"3/8"1/2"5/8"3/4"7/8"
Light Filtering Fabric for privacy. 2 shades in one. Both a light filtering blind and a light control blind. 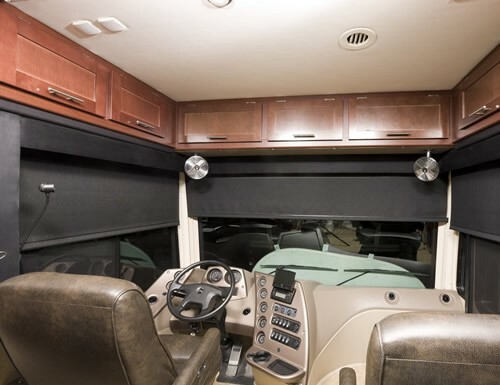 At Blinds Chalet we offer RV window blinds and shades specially designed window coverings for motor homes, trailers, campers and more. 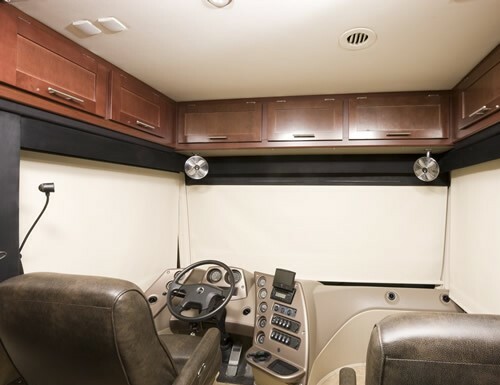 Each of our RV mini blinds are custom built to fit your recreation vehicle and they are easy to measure and install! Your RV is your home away from home. Adding window treatments provides privacy as well as insulating your windows. Window coverings reduce the heat loss/gain through the windows. 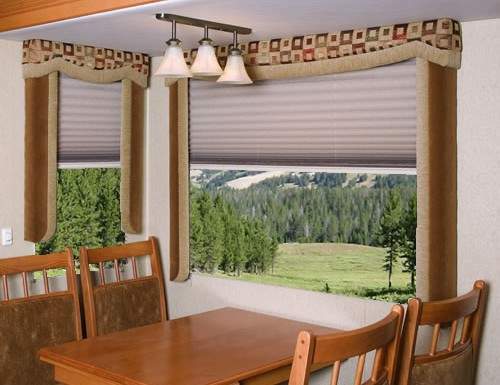 RV window blinds also protect the upholstery, carpets and more from harmful UV rays. 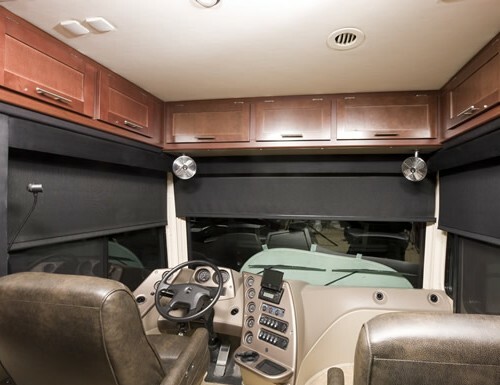 Choose from various RV window treatments such as mini blinds, pleated shades, roller shades and more. Whether you are looking for window blinds to block light, filter light or both we can help. 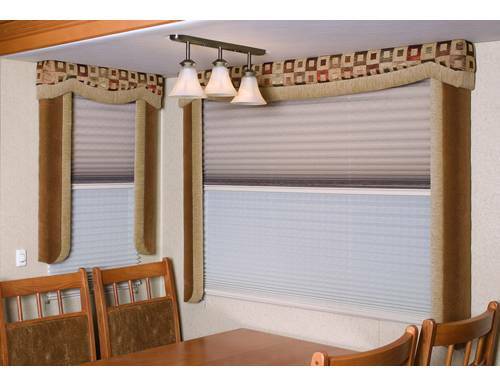 Whatever your style or decor, Blinds Chalet is sure to have an RV blind or other RV window coverings to fit your needs!